Friday, August 1, 2014 Save the Date! August 23rd! 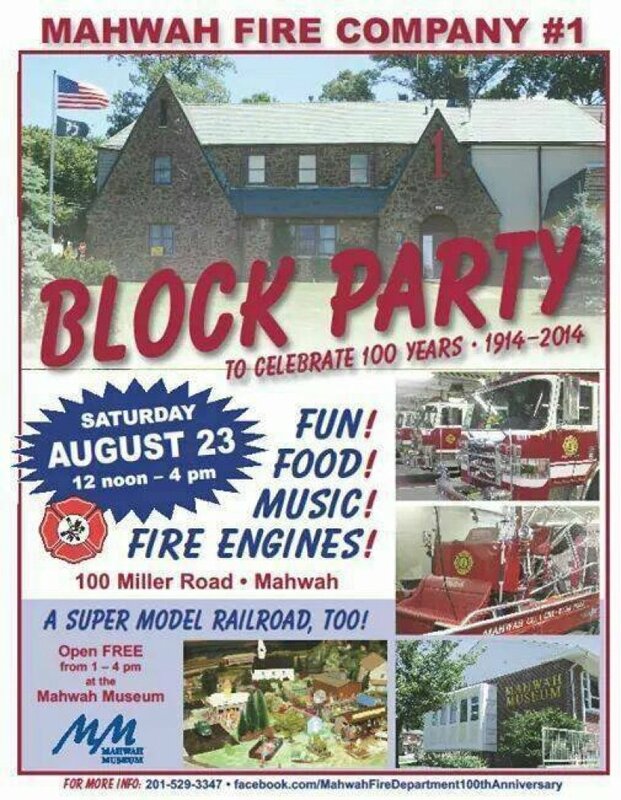 Support our brothers and sisters at Mahwah Fire Dept Co 1 and help them celebrate 100 years during their Block Party!